After seeing how much fun little sibling The CW is having with its Arrow adventures and hand-me-down Flash costumes (and actors), CBS is following the course of so many other older brothers and getting back into superheroes. 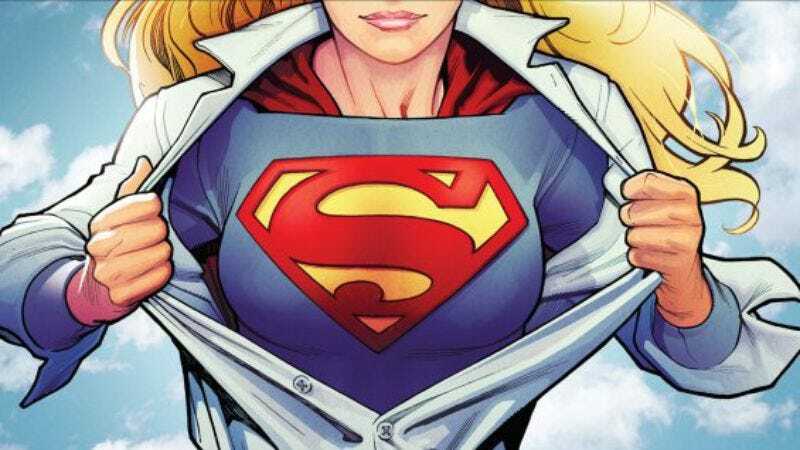 Today, the network made a series commitment to Supergirl, an adaptation of the popular DC property from Chuck producer Ali Adler and adapter of popular DC properties Greg Berlanti. (The project was previously rumored to be attached to appropriately named Green Lantern screenwriter Michael Green.) The duo, who collaborated on No Ordinary Family, will tell the story of Superman’s Kryptonian cousin Kara Zor-El as she learns to harness her superpowers. Assumedly, their Supergirl will also see Kara heeding the warnings of previous DC heroines who failed to integrate themselves into the alien society of broadcast television. CBS’ series commitment to Supergirl is not the same as a series order for Supergirl—much as this Supergirl story differs from that of Matrix, who donned the cape and skirt following the events of Crisis On Infinite Earths. In this deal, if CBS doesn’t pick up Supergirl, it’ll have to pay a significantly penalty—just like the time your mom took away the Hall of Justice playset because you and your kid brother didn’t pick up Supergirl (or Superman and Wonder Woman and Batman and Darkseid and Lex Luthor and Mr. Freeze…). But if CBS was really serious about playing with superheroes again, it wouldn’t leave things it bought with its own money strewn about the floor like that.